Last weekend marked the triumphant return of the Alamo Guard to the Alamo! For regular readers of the Texian Partisan, you likely remember an article published last month on how a four-year tradition of honoring the Texas Republic’s fallen soldiers had been cut short, rather abruptly. However, do to your quick and determined efforts, the tradition of laying a wreath at the Alamo wall every second Saturday of the month has been restored. “It really felt great to be back,” says Alamo Guard Captain Chris Jacka, whose company was in rare form on this momentous occasion, featuring a larger than normal showing of Guard members. “The Rangers were very gracious in welcoming us back, and wanted it made clear again that they stand with us 100%. They were glad we were able to continue our professional relationship.” Indeed. The Alamo Guard is very grateful to the Alamo Rangers for first making possible the Guard’s memorial on Alamo grounds. Additionally, the TNM is grateful that the management of the Alamo saw fit to reverse their original decision, and looking forward to greater spirit of cooperation in the future. With the resolution of last month’s drama, it is good to know that Guard is back, doing their part to preserve our heritage as Texans, reminding us to recognize the dear price that was paid for our land. No doubt, the position of the Guard is now much stronger than it had been. Hopefully, this only beginning of good things to come for the Alamo Guard, the Texas Nationalist Movement, and Texas. If you would like to see a list of upcoming Alamo Memorial Marches click here. Here’s my next article for the Texian Partisan! Beginning last Saturday, the Alamo once again became a battleground when members of the TNM Alamo Guard were prevented by the Alamo Complex Management from conducting their monthly memorial for the martyrs of the Texas Revolution. For nearly four years, the Texas Nationalist Movement had been publicly remembering the Alamo in the form of a non-political and silent march to the Alamo door to lay a wreath of yellow roses. Besides being a tribute to the fallen heroes of Texas, the event was meant to spark cultural awareness in fellow Texans. However, on February 11, the TNM Alamo Guard was halted in the commencement of their monthly ritual by the Alamo Rangers, officials charged with the protection of the Alamo. Reluctantly and regrettably, they informed the Guard that they would no longer be allowed to continue this tradition. “It felt like I’d been punched in the stomach,” said Chris Jacka, US Army veteran and Captain of the Alamo Guard. “It was so unexpected. I never thought that anything like that would ever happen, that it would be shut down in such a way.” Indeed, this action was quite a shock. Until that moment, the event had become a welcome fixture at the Alamo. Originally, the wreath was placed on public property in the plaza, however, it was the Alamo Rangers themselves that saw the benefit of such a ceremony and obtained special permission for the wreath to be placed instead at the chapel door. And until last Saturday, there it remained. However, in changing this, there was no attempt to inform TNM beforehand, and this reversal seemed a baffling surprise for Texans who thought their service was wanted. The reasons for this action have not yet been formally stated. However, the Chief Operating Officer, Ian Oldaker, a newly hired official and New York native, seems to have been the one issuing the order. The Texian Partisan has tried reaching out to Mr. Oldaker for comment, but he has not yet returned our contact. According to sources, management had been doing away with many uses of the Alamo, such as weddings and personal affairs, with aims at the preservation of the historical site. Additionally, they’ve been rejecting its use in political demonstrations, including the request of an unnamed pro-Trump organization that wanted to have a rally at the Alamo. Unhappy that their request had been rejected, the pro-Trump org complained that their refusal was unfair due to the on-going allowance of the Alamo Guard’s memorial. As stated before, the AG’s observance was not political, rather cultural. In fact, when interviewed, Chris Jacka pointed out that in the interest clarifying that they had no political message, as well as wanting to foster good relations with Alamo management, the group acquiesced to the Alamo Ranger’s request last month that they not carry their TNM flag while performing their ceremony. Unfortunately, this was not enough. And contrary to the reported wishes of the Alamo Rangers and following the complaints of the fore-mentioned political group, the following month, Mr. Oldaker went ahead with shutting down the observance. Since that Saturday, there have been many developments. The Texas Nationalist Movement released a statement and call-to-action concerning the event on their website. Afterwards, the story began circulating in social media. The word was getting out. Ultimately, few days later, TNM President Daniel Miller received a phone call from the Alamo COO. Apparently, management had been inundated by a great number of calls from Texans, including some Texas lawmakers, who all expressed their disapproval with dis-inviting the Alamo Guard. In short, Alamo management informed Mr. Miller that they were reversing their decision in forbidding the monthly memorial service. However, the exact details of this arrangement have yet to be worked out as of writing this. While many applaud that the situation seems to be reaching a satisfactory resolution, it really is a shame that it happened in the first place. It could have been easily avoided had management taken the initiative to reach out to TNM before last Saturday. However, not all blame rests with the Mr. Oldaker. The incident with the Alamo Guard is only the latest issue involving the custodianship of the Alamo, and its roots go back a few years. Originally, the responsibility of caring for the Alamo belonged to the Daughters of the Republic of Texas. However, after accusations of mismanagement, the state of Texas wrested control of the Alamo from the DRT, the group without which the Alamo would have long ago been reduced to rubble. Though the DRT fought the action, ultimately the Alamo was put under the stewardship of the General Land Office and its commissioner, George P. Bush, who would also come to serve as the chair for the Alamo Endowment. The Texas GLO take-over of the historic site, which addressed arguably legitimate concerns, was unfortunately not the end of this story. Next came the application and subsequent July 2015 approval of UNESCO “world heritage site” status for the Alamo. The move was supported by prominent politicians, like Bush, but opposed by other GOP Texans who, according to a report in the Guardian, were concerned with possible ramifications associated with “granting jurisdiction and sovereignty over Texas’ cultural sites to any international body”. Rightly so, because with accepting the cooperation of the United Nations comes the strings of the UN. Additionally, the law, as written, leaves the door open to taking what amounts to holy ground for Texans and putting it under the control of the federal government, a legal entity that has shown increasingly that is at best indifferent to the concerns of Texans, and at worst at odds with them. Inherent in the dangers of outside control of the Alamo is the risk that the presentation of the Alamo’s story could be perverted. There have been rumors of political interests trying to seize control of the Alamo narrative to reflect a more politically-correct view. Instead of the story of Texian revolutionaries resisting the tyranny of a Mexican dictator and his suspension of the rights of all Mexican citizens living in Texas, it could easily become the sympathetic story of General Antonio López de Santa Anna, tragically failing in defending his country from usurpers and interlopers. In fact, it may go as far as to depict the Texas Revolution as racial war between Anglos and Latinos. Such revisions of history are not unheard of, despite such a premise ignoring the thousands of Tejanos who fought for Texas independence against Mexico, men like the revolutionary hero Juan Seguin or the Texian founding father José Antonio Navarro. Without pro-Texas management, the cradle of Texas independence could become just another prop for racial/political agitation. For those that think such a thing could never happen, it is important to note that this sort of naked racial politics has already occurred with the UN. Recently, UNESCO was involved in another controversy, this time regarding holy sites in Israel. According to a report from FoxNews, UNESCO was criticized by the Israeli government for crafting a document that “denies Judaism’s deep ties to” the temple mount, while affirming Islamic ties. To have that same sort of political framing to the story of the Alamo would be divisive for Texans, grossly misleading, and distracting from the important lessons that the Alamo represents: selfless service and defiance of governmental tyranny. For now, the key consideration of the Alamo Guard being allowed to render honors to Travis, Bowie, Crockett, and the other noble Texian forebears may be addressed, but the problem of this most sacred of Texas sites losing its control to foreign powers, whether Washington or the UN, that struggle is just beginning. Hopefully what began with the Alamo Guard, enough concerned Texans speaking out and getting the powers-that-be to back down from their ill-conceived decisions, perhaps that can continue, rousing law makers in Austin to recognize the dangers of yielding Texan shrines to outside authorities. Then, maybe the legislature will abandon similar future plans for Texas historical sites and take action against existing myopic laws, safeguarding the sacred heritage of Texas for future generations. Here’s another article I wrote for the Texas Nationalist Movement! And here’s where it was noticed, again, by the Houston Chronicle… and dismissed… again! 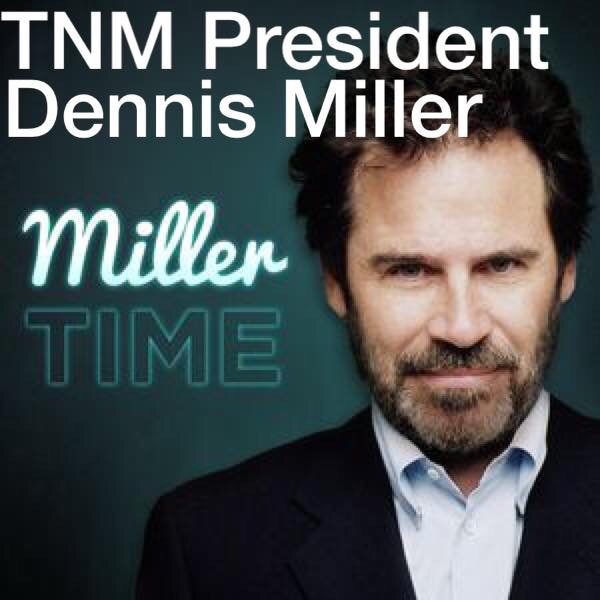 Although, I’m happy they noticed my calling them out on naming TNM President Daniel Miller as “Dennis Miller.” This morning that’s been corrected, so good on them! Here’s a link to the latest article I wrote for TNM.